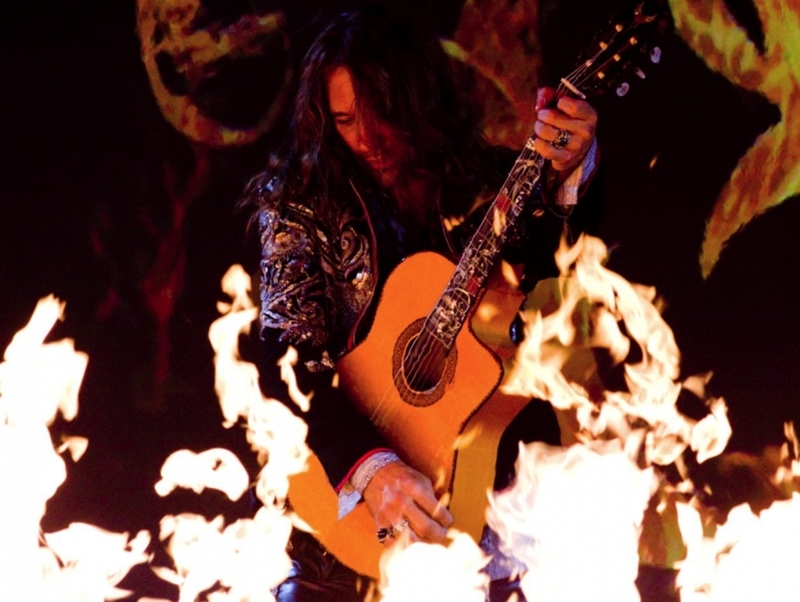 Benise is the stage name for Roni Benise, a flamenco and rock guitarist who describes his unique sound as "nouveau Spanish flamenco." Celebrated for his ability to seamlessly and tastefully fuse what many feel to be disparate styles of music, such as various Spanish guitar styles, African tribal rhythms and rock, Benise has proven himself to be both a technically proficient instrumentalist as well as an ingenious musician. Having gained a substantial following of fans since his humble beginnings performing at flea markets and neighborhood theaters, Benise has recently caught the attention of the American public at-large since producing the popular PBS television music special Nights on Fire! in 2006.